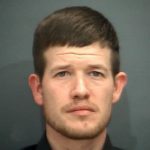 A Tuesday traffic stop at the intersection of Fourth Street and North Delphine Avenue in the City of Waynesboro led to the arrest of two men on drug charges. Raul Godinez Jr., 28, was taken into custody on outstanding warrants for possession with intent to distribute methamphetamine and possession of a firearm while in possession of drugs. A Waynesboro narcotics K9 unit arrived at the scene and the K9 alerted to the presence of narcotics in the vehicle. A search resulted in 12 grams of methamphetamine being recovered from the vehicle. 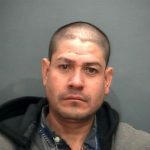 The passenger in the vehicle, 31-year-old Armando Lara Tenorio of Waynesboro, was also arrested on the scene for possession of methamphetamine. Both subjects were held without bond at Middle River Regional Jail.